Have you ever had to poke chunks, rod lumps, air lance, beat on the cone or use other similar means to get material to flow in your bulk storage vessel? Do your feeders have sledge hammer marks all over them? Do you have huge piles of rock hard lumps of material laying on the ground underneath your silos? Have you ever been called at three o’clock in the morning with a fly ash cyclone or silo that is plugged that threatens to shut down your facility? Have you ever had to hang from a harness or a boatswain chair inside a silo with a pick, shovel, jack hammer, broom, rod or air lance to poke at the contents of a storage vessel and try to create flow? If you can answer yes to any of these questions, then you work in the World of Bulk Storage Handling. Virtually any silo, bin, bunker or other types of bulk storage vessels can suffer from bridged, arched, ratholed, lumpy or hydrated material at some point. These problems are almost unavoidable given the myriad of variables resulting from different types of storage vessels and the numerous materials that are stored or processed in them. More importantly, once these problems occur, productivity at the facility is negatively impacted in a progressively more serious way each hour or day the storage problem is allowed to continue. Inefficient material flow and reduced storage capacity can and will have an immediate impact on the profitability of any operation. Every cleanout/unclogging project is different. With literally scores of materials ranging from animal feeds to zinc being stored or processed at facilities around the world, no two silo cleanout projects will be the same. We, at Mole•Master, break these types of projects into three primary categories: Low degree of difficulty (LDD), medium degree of difficulty (MDD) and high degree of difficulty (HDD). A typical bell curve indicates that approximately 60% of the projects fall into the medium degree of difficulty level (MDD), while the other 40% fall into either the low (LDD) or high (HDD) degree of difficulty levels. No project, regardless of size, should start without first making sure that all personnel are properly prepared and trained. Safety must be the first priority when evaluating any project regardless of its level of difficulty. All Mole•Master technicians are MSHA 5000-23 certified, and trained to comply with all current OSHA standards for maintaining a completely safe work environment. What this really means is that by hiring a qualified contractor, plant officials minimize any potential risk to their own personnel, contractor’s personnel, or any of the associated liability risks related to working in this environment. While it is necessary to evaluate any contractor very closely to determine their level of expertise and safety training, one primary point of evaluation should be determining the company’s Workers’ Compensation Experience Modifier (EMR) rate. Many corporations now refuse to allow any contractor on site whose EMR rate is higher than 1.0. Any in-house personnel or contractor 2 chosen for a cleanout/unclogging project should be completely dedicated to meeting these types of standards. 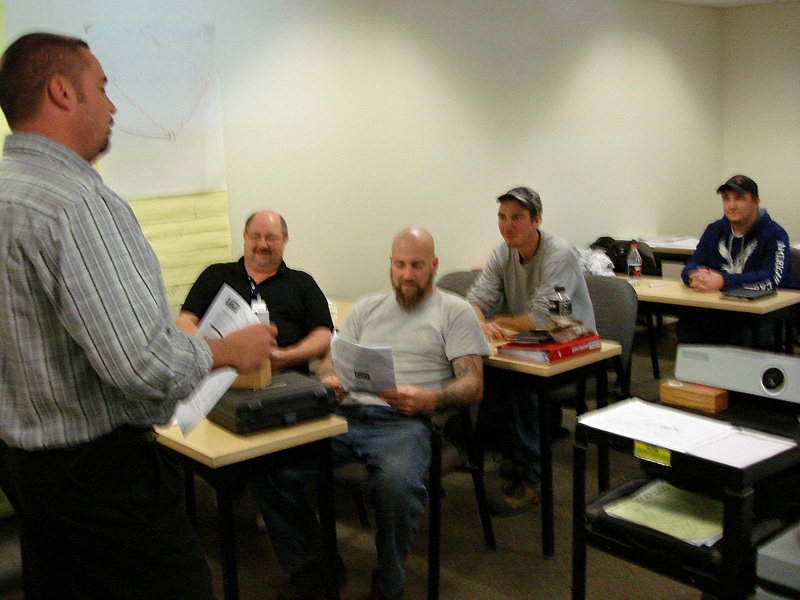 LDD projects are often handled manually by the plant’s in-house maintenance crew. Common practices on these types of projects include poking, rodding, jack hammering, air lancing, sledge hammering or, in some cases, the use of these same techniques combined with confined space entry. While these types of projects can generally be completed using these basic methods, one factor that must not be overlooked is safety. Cleaning out or unclogging even the smallest or simplest of storage vessels presents risks that must be anticipated and prepared for to eliminate serious injury or death. Unfortunately, there are many people injured or killed each year world wide when working in these environments. 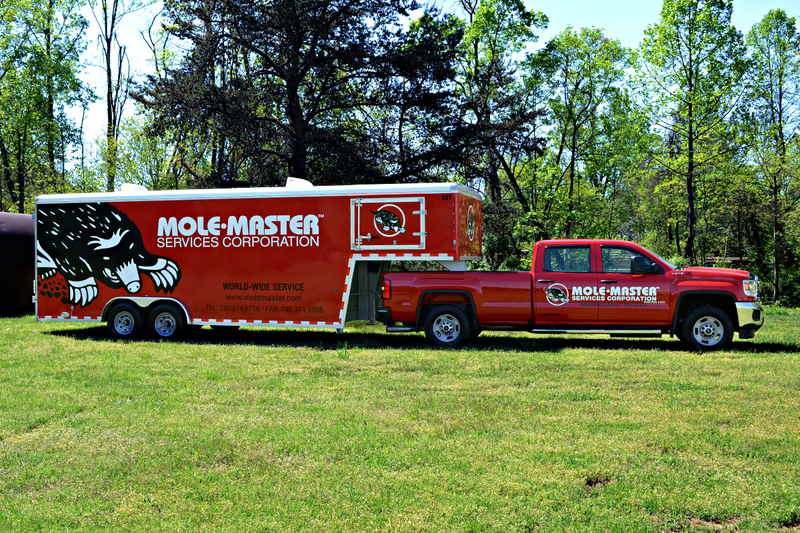 Mole•Master has frequently been contracted by a commercial baking company to remove a build-up of flour from under the roof and the interior walls of a 12′ x 27′ silo. 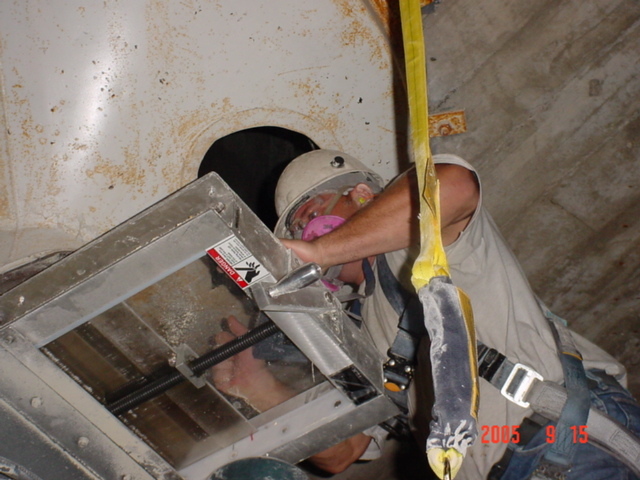 While this project is essentially completed by following appropriate confined space entry procedures and literally sweeping the walls down with special sanitized brooms resulting in no more than three to four, 55 gallon drums of material, the company chooses to use a professional contractor with all of the necessary safety equipment and training to minimize their liability risks. This project is very typical of an LDD project. Medium degree of difficulty (MDD) projects require a more advanced understanding of material handling and flow characteristics coupled with equipment such as Mole•Master’s Junior 360° whip system or Arch•Master drill which can be provided as a contracted service, or purchased or rented for a specific project operated by trained in-plant personnel. Medium degrees of difficulty projects (MDD) typically involve the cleanout of silos, bins, bunkers, tanks, process or storage vessels (including railcars) measuring less than 40′ in diameter x 100′ high with relatively straightforward access and bridged, arched, or compacted materials that are not in extremely high volumes or in extremely hard or hydrated condition. These products can generally be completed in a few days time utilizing proper techniques and equipment where they might take weeks utilizing LDD equipment and manual labor. Once again, safety and an understanding of the proper methods for unloading such a vessel should always be a primary concern when determining the appropriate method for completing these projects. A typical example of an MDD project is one that Mole•Master did for a cement company. The particular geographic area where this plant was located was experiencing a long-awaited boom in construction. The facility was barely able to keep up with the orders for cement product that they were receiving. 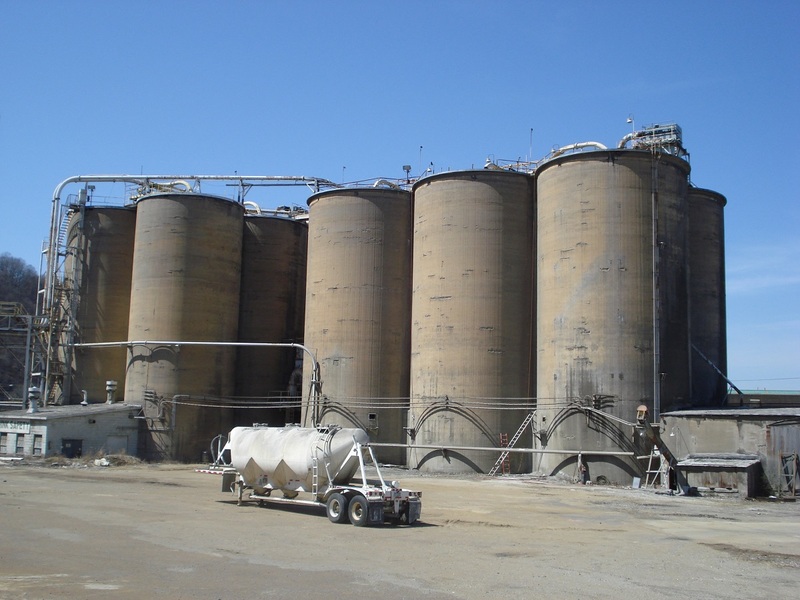 They had several 35′ in diameter x 90′ high cone bottomed silos that were used for truck loading that had been emptied down, but still contained between 400 and 700 tons of compacted but perfectly saleable cement. By utilizing our proprietary ‘BIG•MOLE’ system and/or Junior 360 whip system, we were able to completely empty these silos in very short order, providing the company with much needed product to sell. In this case, the cost of the project was offset completely by the plant’s ability to sell the product, as well as by the increase in storage capacity. High degree of difficulty projects (HDD) require the ultimate level of experience, equipment and safety that can only be accomplished by contracting a company that provides highly trained technicians and equipment who have conquered these types of projects in the past. In addition to equipment such as Mole•Master’s proprietary ‘BIG•MOLE’ system, these types of projects often include the use of high capacity vacuum systems, specialized dust collector systems, portable conveying equipment, CO2 purging and fire suppression equipment, Mole•Blasters (CO2 blasting), portable crusher de-lumpers, hydro blasting, wet or dry pipe cleaning or other customized purpose-built equipment along with the training and expertise required to safely and efficiently operate such equipment. Currently, Mole•Master is the only bulk storage vessel cleanout/unclogging company capable of providing complete turnkey services for high degree difficulty projects on a safe, reliable and consistent basis utilizing all of the above mentioned equipment and technologies. Upon arriving at a work site, Mole•Master’s technicians will evaluate the integrity of the vessel and seal various openings to eliminate or minimize the leakage of CO2 product from the vessel. Once all openings are sealed, the technicians will connect the liquid CO2 tanker to the ambient air vaporizer via a single manifold system and specifically designed hosing. A special mixing manifold is then connected to the outlet side of the vaporizer and special hosing is placed into the vessel. Since carbon dioxide is heavier than air, it is most efficient to introduce the CO2 into the vessel through an existing roof opening. Mole•Master’s technicians will monitor the atmosphere within the vessel to maintain an oxygen level of between 2% and 10% maximum depending upon the material. For most applications, a single tanker is sufficient, however, in more severe cases, multiple tankers may be required. The ambient air vaporizers require 460 volt/3 phase/30 amp electrical service to drive a 10HP fan. Flow rates ranging between 100 and 1000 CFM can be achieved. Unlike chemical fire suppression or water, once the hot product has been removed, the fire extinguished, or the desired work performed on the vessel, the flow of CO2 is cut off, the vessel is unsealed and aired out, making it immediately available for storage. No additional cleanout of the vessel is required to remove chemical foam residual or other contaminants from the walls. While each of these problems offers a myriad of variables that will affect the success of the project, one factor that will greatly impact the success of a project that involves any of these conditions is this: Recognize and evaluate the problem as soon as possible and do not hesitate to bring in a professional to solve it. Our years of experience have shown us that projects that take weeks or even months to complete could have been dealt with in days if a professional contractor was brought in initially. Unfortunately, often a plant will experiment with many “in-house” options before calling a professional. While these efforts may sometimes succeed, if progress is not seen within the first day of a project, a professional should be contracted. It must be understood that even things as simple as lifting equipment to the top of the silo or working through an open discharge in the bottom of the silo presents significant risk to even the most highly trained technician. Unfortunately, many deaths or severe injuries still occur in facilities all over the United States in spite of the availability of services and/or equipment that minimize or eliminate these risks. In addition to the serious injury or fatality involved in an improper cleaning procedure, plant personnel are now criminally liable if people are killed or injured in these types of accidents. Material buildup or hang-up/wall scale occurs when a material clings to the silo walls. This buildup could be anywhere from less than 1/4″ of scale up to several feet of material adhered to the wall and will not flow out when the vessel is emptied. Ratholing is when material build-up is extreme leaving only a small funnel or “rathole” from top to bottom for the material to flow to the discharge point. In many instances, these ratholes may be only few feet in diameter in a silo that may be 50′ or 60′ in diameter. Bridging or arching occurs when material becomes compacted or hardened above a discharge point. In these circumstances, the discharge itself is typically open and flowing with a cavity that has domed out or emptied out above the discharge, thus the name bridging or arching. Plugging is just as the name indicates. This is the complete lack of a flow channel from top to bottom in the silo and can be facilitated by hard material at the point of discharge or material that is completely compacted from top to bottom in the storage vessel. These problems can be caused by many different circumstances. Production problems, roof leaks, high humidity, high heat, hot product, inappropriate silo loading or unloading or even putting a material in a vessel that was not originally designed for it can often contribute to these buildup problems. Regardless of the vessel’s design and that of its discharge system, even the best combinations will lead to problems from time-to-time. The best way to eliminate these problems is by utilizing a preventative maintenance program designed specifically for your facility. This program will involve the evaluation of all storage/process vessels and materials and an inventory of typical problems that have occurred in the past. Once the facility has been evaluated, a routine cleanout program can be initiated that will virtually eliminate the majority of buildup problems before they ever become severe. Unfortunately, contractors that provide these types of services are often looked upon as the fire department responding to an emergency rather than a regular routine maintenance solution to these types of problems. While there is no guarantee that this will completely eliminate all build-up problems, it will significantly reduce these problems so that only extraordinary circumstances create large scale, HDD problems. In spite of the infinitely variable circumstances and conditions causing material flow problems, all can be solved safely, efficiently, and economically, if through routine preventative maintenance programs or immediate recognition by plant personnel of the nature of the problem. Regardless of the project, or the project’s level of difficulty, the appropriate training and equipment are absolutely necessary requirements that should be met before any project is undertaken. 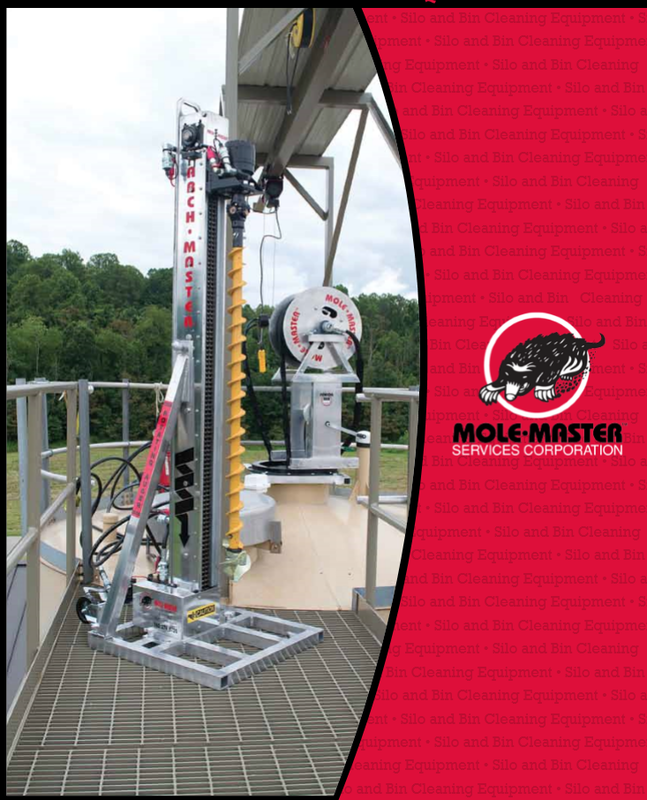 Contact Mole•Master today for the silo cleaning expertise, attention to detail and commitment to safety that your operation deserves.